The Global 3 piece hollow-ground santoku cutlery set contains an essential trio of knives: utility, parer, and santoku. The Global santoku knife is a real workhorse knife that you can use to chop, slice, and mince just about anything. It serves the same purpose as a chef's knife. 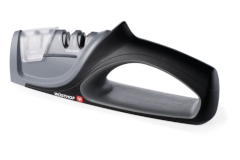 Combined with the parer and utility blade, you can tackle any prep task. 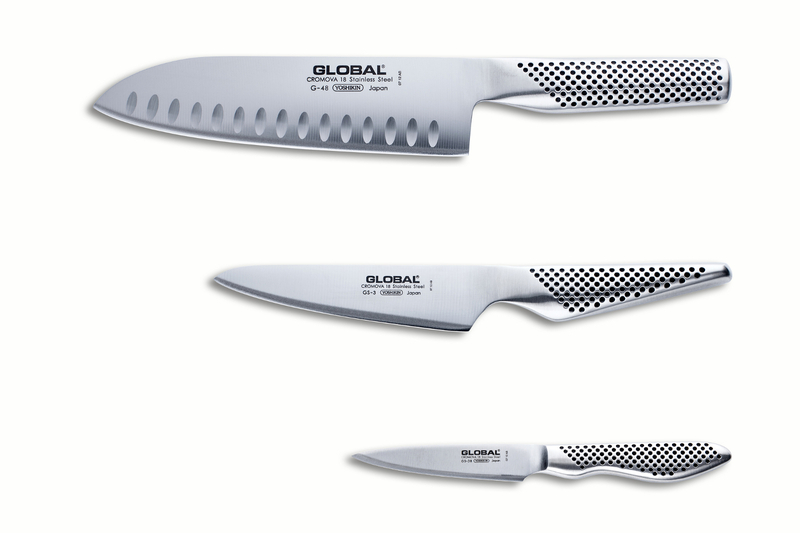 These durable knives from Global are resistant to rust and damage thanks to Global's CROMOVA 18 steel. 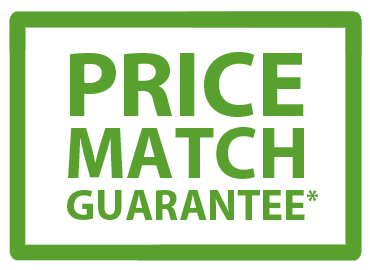 Lifetime guarantee from Global with normal use and proper care. It's best to store your Global knife so the edge and your fingers are protected, preferably in a block or in-drawer knife tray. Lifetime warranty from Global with normal use and proper care.